WWE Thursday Night Smackdown Live Spoilers For 12.04.2018: Tables, Ladders and Chairs / TLC 2018 Build With Becky Lynch, Asuka, Charlotte Flair, Daniel Bryan, A.J. Styles and More Via Preview. At press time WWE has released their teaser for tonight’s edition of Smackdown Live. They may augment the card throughout the day so visit WWE to keep up to date in case the below is supplemented. History was made with the confirmation of the first-ever Women’s Tables, Ladders and Chairs Match, which will see SmackDown Women’s Champion Becky Lynch defend against Charlotte Flair and Asuka, the latter of whom won a Battle Royal to earn her way into the match. Tonight on SmackDown LIVE, all three Superstars will make this historic match official when they sign the contract for WWE TLC. What will happen when these competitors meet in the ring? Find out tonight at 8/7 C on USA Network! 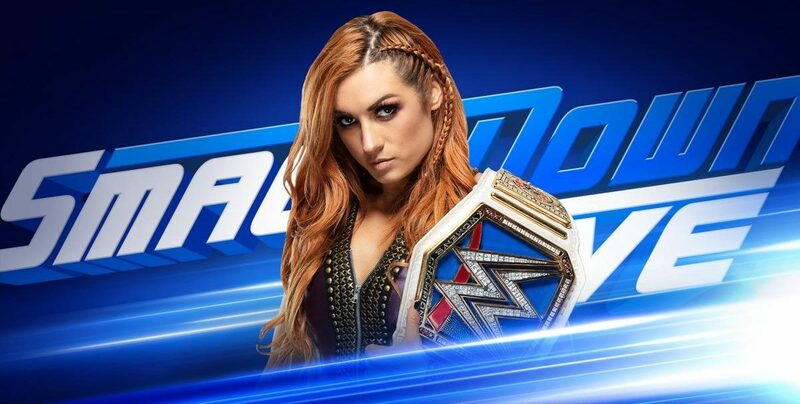 SmackDown Women’s Champion Becky Lynch, Charlotte Flair and Asuka will make their historic Tables, Ladders & Chairs Match official tonight on SmackDown LIVE when they sign the contract for the bout. What will happen when these three rivals meet in the squared circle to put their names on the dotted line? The WWE Universe is still baffled by the “new” Daniel Bryan and his unsettling attitude. The WWE Champion has attempted to give insight to his new outlook, but he’s only left fans with more questions. Though his 20th anniversary celebration was crashed by Samoa Joe, Jeff Hardy is reinvigorated and ready for whatever the future holds. Tonight, that means rekindling one of his most intense rivalries, as The Charismatic Enigma goes one-on-one with Randy Orton. The bad blood between the two could not be contained by the squared circle and had to be settled in a truly brutal Hell in a Cell Match, which The Viper won. Can Hardy turn around his fortunes against WWE’s Apex Predator? A big Triple Threat Match for the SmackDown Tag Team Championship was announced for WWE TLC last week, as Sheamus & Cesaro will defend against The Usos and The New Day. This week on SmackDown LIVE, the WWE Universe will see a different kind of Triple Threat Match, with one member of each team squaring off in singles competition. Who will claim a critical victory heading into WWE TLC: Xavier Woods, Jey Uso or The Swiss Cyborg? Find out tonight on SmackDown LIVE at 8/7 C on USA Network! WWE TLC 2018 is in two weeks and Smackdown Live is tonight!